Quite a few fans consider the 90’s the last great cultural decade. Being raised in the 90’s, I fondly remember TRL, Nickelodeon, Moon Shoes and my Lite Brite. Media, music, and sports were all being produced with high levels of innovation and creativity. Michael Jordan, Mark McGwire, Brett Favre, Arnold Schwarzenegger, and Oprah were all household names. In boxing, names like Oscar De La Hoya, Felix Trinidad, Shane Mosley, Lennox Lewis and Roy Jones Jr. ruled the boxing headlines. Roy Jones Jr. was even named the boxer of the decade; an excellent choice for that title. 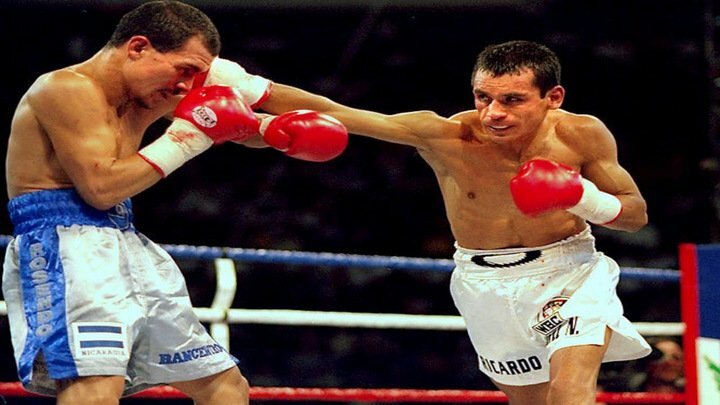 However, when discussing the great pugilists of the 90’s we often leave off arguably the best of the bunch: El Finito Ricardo Lopez. I would argue that Ricardo Lopez is one of the greatest boxers of all time. If it were not for the fact that he spent the bulk of his career fighting at 105 pounds he would have been a household name. If Lopez had fought at 147 he would have been a superstar. His record speaks for itself. Lopez retired undefeated with a record of 51 wins with no losses, one draw, and 38 K.O.’s. To delve a little deeper I want to show why Lopez deserves the same, if not more, recognition than his peers. First off Lopez was not a protected fighter. Starting off fighting in his native Mexico, Lopez went on to fight in Japan, Thailand, South Korea, and the U.S. Lopez, unlike most champs, often fought his title challengers in their own backyards. This is something unheard of in the sport today. Secondly he was a true champion. More often than not, fighters want to grab a title and hold on to it. Non-title fights, vacating titles, sanctioning fees a lot of politics take away the meaning of champion. However, Lopez took pride in being a champion, defending his 105 lb titles 21 times before moving up to 108 lbs and winning that title as well. After winning his first title in 1990 every fight Lopez had was either a title defense or a title opportunity until he retired in 2001. That is 11 years and 26 straight bouts fought at the highest level. Again something unheard of, even amongst his peers. Even when the greats moved up in weight, they generally took a fight or two to get acclimated to theirnew weight class before fighting for a title. Lopez fought for the IBF 108 lb title in his first fight at that weight. Finally, not only was Lopez elite, he was dominant. From October 1990 to October 1999 Lopez fought 23 times with a record of 22 wins, no losses, one draw, and 17 K.O’s. That is a knockout percentage of 73%. Not only was Lopez a big puncher, he was an elite tactician as well. Using the skills taught to him by the great Nacho Beristain (trainer of Juan Manuel Marquez). He combined excellent footwork with precise punching, excellent defense, and power. He was the total package. Ricardo Lopez vs Rocky Lin. Be sure to comment who you think was the best boxer of the 90’s. Next boxing news: Kudryashov vs Dorticos = Guaranteed Explosion!